Are you a current or former Continuing Education art student? Our studio is open for you! 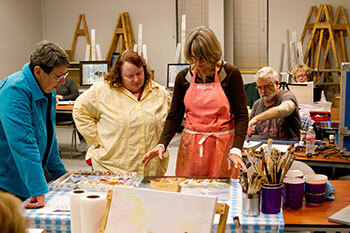 Use this time to complete your current art project at your own pace in this self-guided class. Collaborate with other artists while enhancing your artistic ability. Please read: Prerequisite: Must be a current or former Continuing Education art student.